Doing gorilla tours by road provides rewarding opportunities to see a lot of interesting things at close range, along the way like: the local people as they go about their daily business, fruit markets, the Equator imaginary line, subsistence farms, the long horned Ankole cows,and the changing landscapes. This drive takes you to some of Uganda’s unmatched scenic views stretching from the central region to the western circuit. The beautiful scenery here receives every first time visitor to Uganda with an astounding welcome. 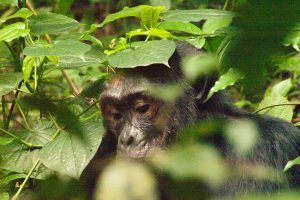 Uganda’s gorilla tours by road are a unique enhancement to a memorable gorilla safari experience. Meet and greet at Entebbe international Airport by our company representative who is your driver and guide for the safari. Transfer to your overnight accommodation for dinner and overnight at Cassia Lodge – (Moderate facility), Serena Hotel(high end Hotel). Enjoy a relaxed breakfast before driving Southwestward to Lake Mburo National Park with a stop to interact with the local drum makers at their shop alongside the road. Have a look at the different drum shapes and the wood type required to make them. Head for another stop at the equator imaginary line to see the water experiment and carry on to have lunch in the park. After lunch go for a boat cruise on Lake Mburo to see plenty of hippopotamus and look out to spot some unique water birds like the: Heron, Bateleur, Grey Crowned Crane, Black-bellied Bustard, Brown-chested Lapwing, Rufous-bellied Emerald-spotted Wood-Dove, Coqui Francolin Brown Parrot, Turaco, Bare-faced Go-away-bird, and the Red-headed Lovebird, besides many others. After breakfast move out for a cycling experience in the bushes of Lake Mburo National Park with your backpack of drinks and snacks, accompanied by a guide. The cycling lasts between 1-5 hours or more depending on your interest and ability. Harder terrain options are available for experienced mountain bikers and good mountain bikes with great suspensions and mudguards for rainy days are in store to put the riders up to an enjoyable task. Start off early after breakfast for the drive to Jinja with lunch in Kampala. After lunch proceed eastwards to Uganda’s adventure capital driving past, tea and sugarcane plantations, and Mabira tropical rain forest. Enjoy a restful evening on arrival in preparation for a great white water rafting experience the next day. Dinner and overnight at Haven River Lodge(moderate facility), Wild Waters Lodge(high end Lodge). 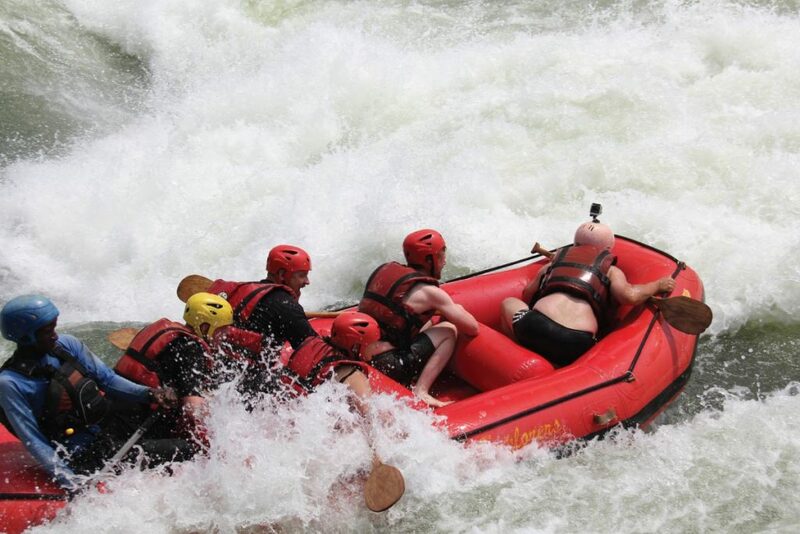 After an early breakfast,move to the assembling point for a briefing that will equip you for a wild adventure of white water rafting on the Nile to last a whole day. There will be a lunch break in between and the activity will be completed with an evening snack to reinvigorate and congratulate ourselves for conquering the Nile rapids. There after transfer to our overnight accommodation for a restful night. Dinner and overnight at Haven River Lodge(moderate facility), Wild Waters Lodge (high end Lodge). A relaxed breakfast will usher you to a great start, for quad biking around the local Busoga village homesteads and farms for 1-2 hours or more. Return to refresh and have lunch before a tour of Jinja to learn about the town’s history and how it lost its industrial image. End the day with a visit to the source of the Nile and return for a relaxed evening to unwind at your lodge. Dinner and overnight:Haven River Lodge (moderate facility), Wild Waters Lodge ( high end Lodge). Wake up to a very relaxed breakfast with great views of the river Nile as we wind our stay in Jinja to return to Kampala with a stopover at Ssezibwa Falls to see and hear the myths of the local people about the falls and its caves. Continue to have lunch in Kampala and spend the rest of the afternoon looking around the different craft/souvenir shops for possible gifts to take home as a remembrance of your Uganda safari. You will be dropped off for dinner and overnight at Cassia Lodge (moderate facility) and Serena Hotel(high end Lodge). Depending on the time of your departure flight you will be picked up from your Hotel to transfer to the airport for your flight home. Meals per day as indicated.